The rise of national coffeeshop chains has increased the American awareness and appreciation of coffee. Just last night on Iron Chef America, the secret ingredient for the battle was coffee of varying origins and roasts. There's a science behind this stuff. Who determines what's good? In celebration of the art of roasting specialty coffee, the Specialty Coffee Association of America's(SCAA) Roasters Guild will present the 2008 Roasters Choice Tasting Competition at SCAA's 20th Annual Conference & Exhibition, May 2 - 5 in Minneapolis, Minn. The competition will feature coffees from some of the finest coffee roasters throughout the country. "From seed to cup, a lot of activity takes place before consumers enjoy their cup of specialty coffee," said Ric Rhinehart, SCAA executive director. 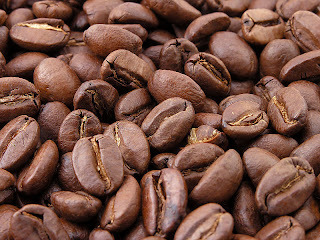 "A vital link in this process is the professional coffee roaster who takes his craft very seriously in roasting green coffee beans based on a roast profile to enhance or highlight certain flavor characteristics. At this year's Roasters Choice Tasting Competition, some of the country's top roasters will offer their finest brews during an exciting competition and demonstration of the profession." All Roasters Guild members - about 370 - are invited to participate in the competition by submitting 30 pounds of coffee, which they will have roasted just prior to the event, ensuring freshness. To determine a winner, each conference attendee in Minneapolis will get one chance to vote for the best of the 10 finalists. The tasting will be blind with the first three finishers earning Gold, Silver and Bronze awards. While a winner will be announced, the chief aim of the event is to recognize the craft of roasting while conference delegates taste some superb coffees. The theme of this year's Roasters Choice Tasting Competition is "Single Origin Coffees." The Roasters Guild is one of two trade guilds within the SCAA. One guild is for coffee roasters and the other for baristas. These groups are designed to bring together those professionals whose crafts most profoundly affect the taste of specialty coffee. The 2008 Roasters Choice Tasting Competition is a highlight at the SCAA 2008 Conference & Exhibition. The conference features educational sessions covering a variety of specialty coffee topics, hundreds of exhibit booths, a presentation from Michael Shuman, author of "The Small-Mart Revolution," the United States Barista Championship and the Coffee of the Year Competition. In accord with SCAA's mission of promoting sustainability in the specialty coffee industry, the association has created a carbon neutrality program to help offset emissions related to conference travel, lodging and energy consumption. All conference attendees are required to participate in the program. The money will be donated to non-profit organization, Trees for the Future, for the purchasing and planting of new trees. For a copy of the conference brochure, call 562-624-4100 or click here.